Fitbit Vs Garmin: Which Fitness Tracker Is More Accurate? - Which? If you’re looking for a fitness tracker, you’ve probably come across devices from both Fitbit and Garmin. Fitbit has more than seven trackers on the market, including clip-on and wrist-worn devices, Garmin has more than 20. Our tough tests have uncovered Best Buy fitness trackers from both brands as well as ones that don’t perform so well in our tests. So how do you avoid the duds and decide which will suit you? That’s where our expert reviews can help. In the table below we compare the accuracy, comfort and ease of use of the top-performing Fitbit and Garmin fitness trackers. Only logged-in Which? members can view our pick of the Fitbit and Garmin devices in the table below. If you’re not already a member, you can get instant access by taking a trial to Which?. 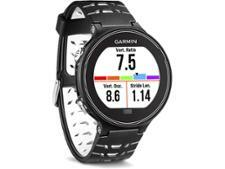 A feature-packed watch that offers in-depth running analysis and activity tracking. It's also waterproof for use in the pool, it has a long battery life and will let you receive smart notifications. 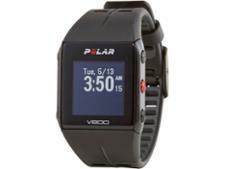 A versatile fitness watch with an integrated heart-rate monitor, altimeter and barometer. It's also waterproof for use in the pool. It's expensive, so not one for casual runners. Ideal for a casual runner. 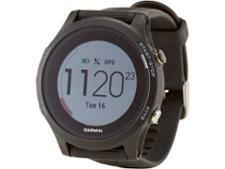 It has built-in GPS and a heart-rate monitor, it tracks accurately and it's simple to use. Pricing, recommendations and test scores correct of August 2018. Our tough tests put each fitness tracker through its paces. We check the accuracy of step, distance, calorie and heart-rate tracking in different scenarios – including walking and running on a treadmill, and during a routine of daily tasks such as loading or unloading the dishwasher. This means we can tell you whether Fitbit or Garmin fitness trackers are better at accurately tracking your activity. We also know that a good fitness tracker needs to be comfortable and durable – it will soon get thrown to one side if it rubs your skin or is too bulky to wear under your clothes. That’s why our users have weeks to get to grips with a device, and rate how comfortable it is to wear for sport and daily life. We can help you pick between clip-on and wrist-worn fitness trackers. Ending up with a big scratch on the screen is unacceptable too, so we also put fitness trackers through a scratch resistance test. In our full Fitbit and Garmin fitness tracker reviews, we’ll let you know how each device performed.